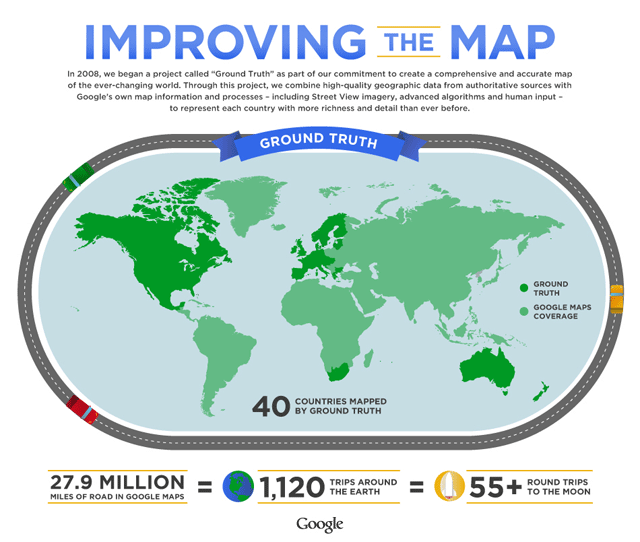 Google Maps announced they have expanded their own mapping service into ten more European countries, making up a total of 40 countries worldwide that have Google made maps. The ten new countries include Andorra, Bulgaria, Estonia, Gibraltar, Hungary, Latvia, Lithuania, Slovakia, Slovenia and Spain. So now when you see an issue in that area, you can click on the report a problem link and Google can fix it directly, as opposed to them to have to wait for their data provider to fix it. Plus, Google's maps are a lot more detailed than the original provider. They acquire high-quality map data from authoritative sources around the world and then apply a mix of advanced algorithms, supplemental data (including satellite, aerial and Street View imagery), and human input to create a map that corresponds as closely as possible to the real-world facts that you’d find if you were to visit that location.